There has been talk of expanding McCook Cold Storage for years now. We’ve been undecided with the idea, but the last year really gave us the push we needed. Our customers have been demanding more space so we had no choice but to find a way to give it to them. We started taking meetings with architects, contractors, discussing finances with bankers, filling out permits and paperwork at the end of 2017. 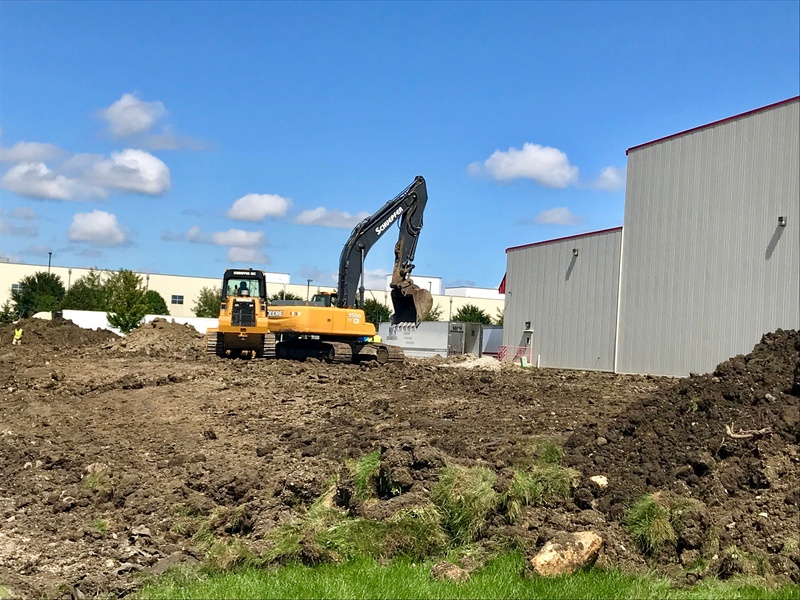 Of course, there were headaches, set backs and delays, and even thoughts of putting an end to the project before it began, but we finally broke ground in September of 2018. We’re keeping our fingers crossed that all goes according to plan and the expansion will be complete in April of 2019. The newly developed construction will house around 5000 freezer positions. We would like to offer the entire room to one customer. If you are looking to increase your current business, consolidate your inventory under one roof, or know of a company you work with that would be in need, please reach out to us as soon as possible. This semi private dedicated room would be securely yours without the hassles of operating it. We could design and engineer it to your company profile, inventory management, and distribution needs. Pallet positions that belong to you and only you (no sharing the new room with anyone else). You receive a dedicated team of experienced professionals to handle your specific needs. McCook Cold Storage will provide the equipment, forklifts, WMS, computers, certifications, and management. Access to your dedicated space in person and through the online portal. While this new extension will offer tremendous opportunities, our commitment to providing the same outstanding and affordable service will never change. Operations will remain the same throughout and after construction. If a semi private dedicated cold storage in the Chicago area sounds like something that would advance your supply chain, contact us to hear the different solutions we have for you.